On Saturdays this month I will be featuring a poem from Kimberly LaRocca. 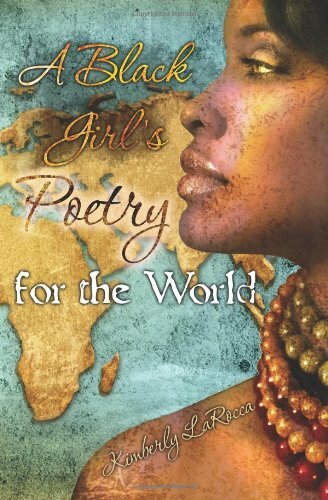 Today's poem is from her book A Black Girl's Poetry for the World. Here is this week's pick. I hope you enjoy it. It's got places to go. I love the reminder in this that pain does pass. No matter how awful it feels while you are going through it. No matter how long you believe it will linger. It does eventually move on. It took me quite awhile to learn this lesson in life. I wish I understood it when I was younger as too many times in the past I let pain consume me. Now I try to work through it so it will move on a bit quicker, ( doesn't always work - at times some hurts are so huge they still linger before eventually moving on). For more from Kimberly you can go to her website HERE. She has additional poetry there. Copies of her book may be purchased from Amazon, in PRINT and in KINDLE form.